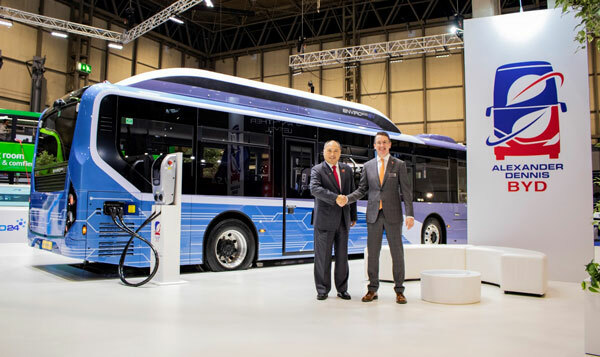 From left to right: Isbrand Ho, Managing Director at BYD Europe, and Colin Robertson, Chief Executive at Alexander Dennis. 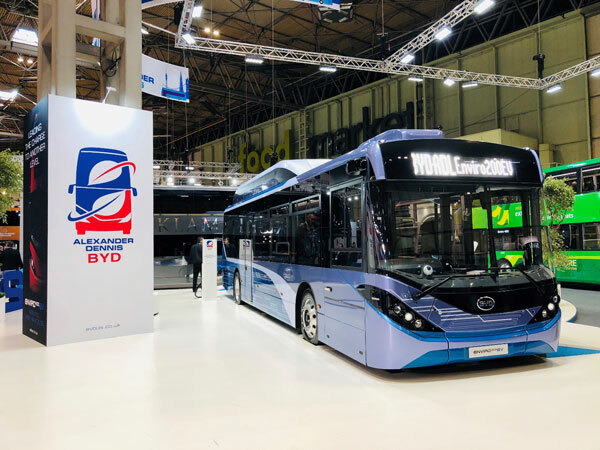 On show at EuroBusExpo today is the first of the partnership’s new provincial specification single decks - a design destined to bring the electric bus revolution to cities outside the capital. Colin Robertson stated: “Not only does this vehicle respond to zero emission requirements, it also delivers an outstanding on-board passenger experience. This Enviro200EV is bristling with the latest technology features to transform bus travel for passengers – wireless chargers, our high backed SmartSeat and console, mood lighting to name a few – as well as improving safety for pedestrians and other road users thanks to our new SmartVision system. It’s an all-round winning package”.